Panasonic has upgraded its 12.1-inch series laptops with Intel’s quad-core 8th Generation Core i5/i7 CPUs. 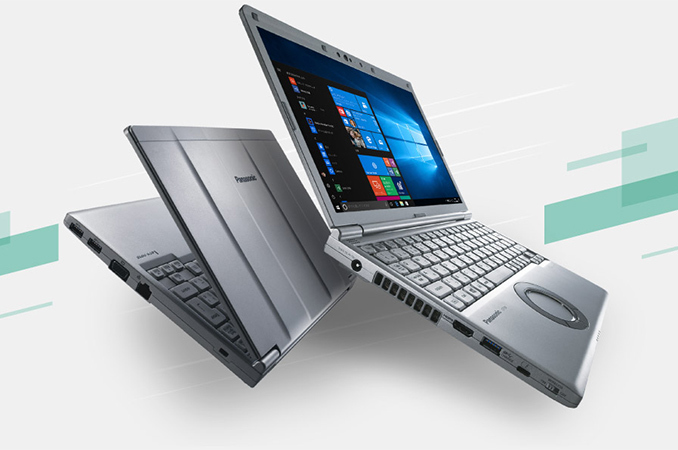 The new Panasonic Let’s Note CF-SV7-series notebooks are the only ultra-compact PCs to feature Intel’s latest mobile processors, a Thunderbolt 3 interconnection, an optical drive and an optional LTE modem in a package that weighs from 999 grams to 1.124 kilograms (2.2 – 2.47 pounds). 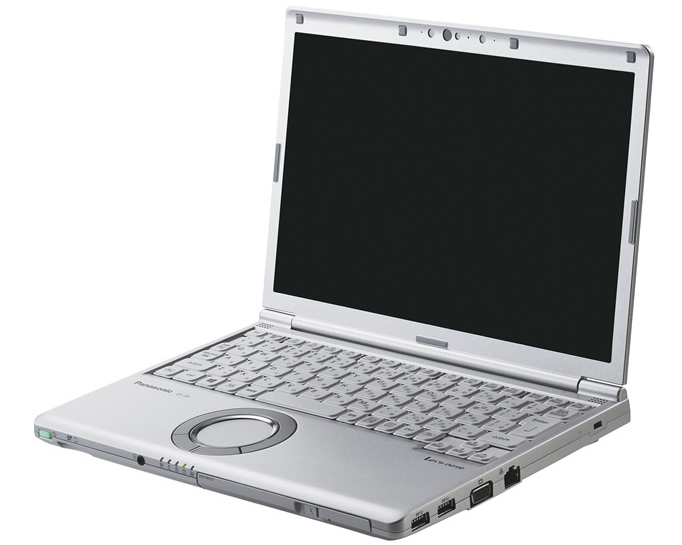 Panasonic is one of a few companies nowadays that offers highly-integrated ultra-compact laptops with optical disc drives. These machines are very light because they are made of plastic (they are still rugged enough and can be dropped from a height of 76 cm) and their weight is about a kilogram, but they are not ultra-thin like modern notebooks from Apple, HP or Lenovo. To a large degree, they are relatively thick because they are designed to offer their owners the best possible connectivity, feature set and battery life, something that we usually see on 14”/15.6” laptops from other manufacturers. In Europe and the U.S. many people nowadays prefer ultra-thin PCs even if they lack replaceable batteries or certain ports (and I am not even talking about laptops with ODDs — they have become exotic). User preferences are different in Japan, which is why Panasonic still offers 12”-class laptops with optical drives, thick replaceable batteries and plenty of connectors. The Panasonic Let’s Note CF-SV7 family of notebooks succeeds the company’s Let’s Note CF-SZ6 lineup that featured a similar appearance, a 12.1” WUXGA (1920×1200) display, comparable weight and dimensions as well as a very long battery life of up to 21 hours (enabled by a removable accumulator). Meanwhile, even though the CF-SV7 continues traditions of the CF-SZ6, it does not mean that Panasonic just installed new quad-core CPUs into an old chassis. The Let’s Note SV7-series based on Intel’s quad-core Core i5/i7 processors actually uses a new chassis that is 24.5 mm thick (down from 25.3 mm in case of the SZ6) and features a new cooling system for its new CPUs. Because of the new cooler, the SV7 PCs are a bit heavier than their predecessors, but even when equipped with a high-capacity “L” battery, their weight does not exceed 1.124 kilograms. Besides the new quad-core 8th Generation Core i5/i7 processors, Panasonic’s latest SV7-series laptops obtained a Thunderbolt 3 port, a rare feature for 12”-class mobile computers. Exact configurations of Panasonic’s Let’s Note CF-SV7 vary greatly. Retail versions of the CF-SV7 are equipped with Intel’s Core i5-8250U or Core i7-8550 CPUs, 8 GB of LPDDR4-1866 memory and a SATA SSD (128 GB – 1 TB). Meanwhile, built-to-order models bought directly from Panasonic can be customized to feature Intel’s Core i5-8350U or Core i7-8650U, 16 GB RAM as well as a 1 TB PCIe SSD. As for connectivity, the systems are outfitted with an 802.11ac + Bluetooth 4.1 wireless module, a GbE connector, three USB 3.0 Type-A ports, a D-Sub output, an HDMI 2.0 header (supporting 4Kp60 resolution), a TRRS audio connector and so on. In addition, the systems feature stereo speakers, a microphone, a 720p webcam with an IR sensor compatible with Windows Hello, an SD card reader supporting SDHC/SDXC cards with UHS-II interface as well as a CD/DVD burner/reader or a Blu-ray reader/CD/DVD burner. Some systems come with a 4G/LTE modem, other can be configured to include a 1 TB HDD in addition to a 128 GB SSD. It is noteworthy that the width of a key on SV7’s keyboard is 19 mm, comparable to that of a modern MacBook Pro. Meanwhile, the new SV7 continues to feature Panasonic’s round touchpad that does not look too comfy. Besides high integration, the Let’s Note CF-SV7-series can be proud of its battery life. 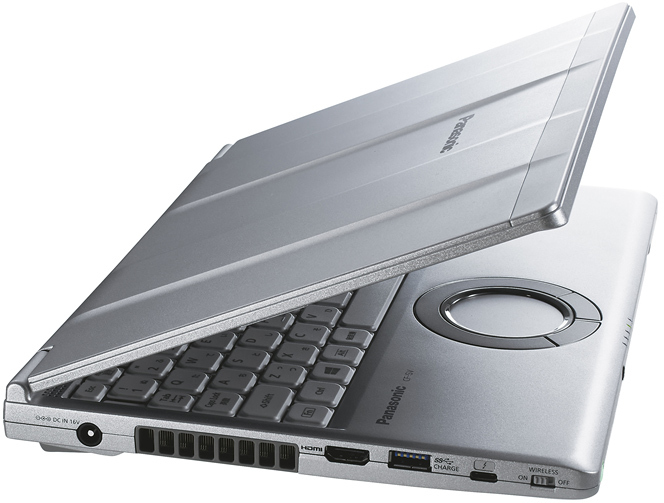 When equipped with an “S” battery and an SSD, the laptop can work for up to 14 hours, according to Panasonic. Meanwhile, if an “L” accumulator is installed, the system is rated for 21 hours, probably a record for 12”-class PCs in general. 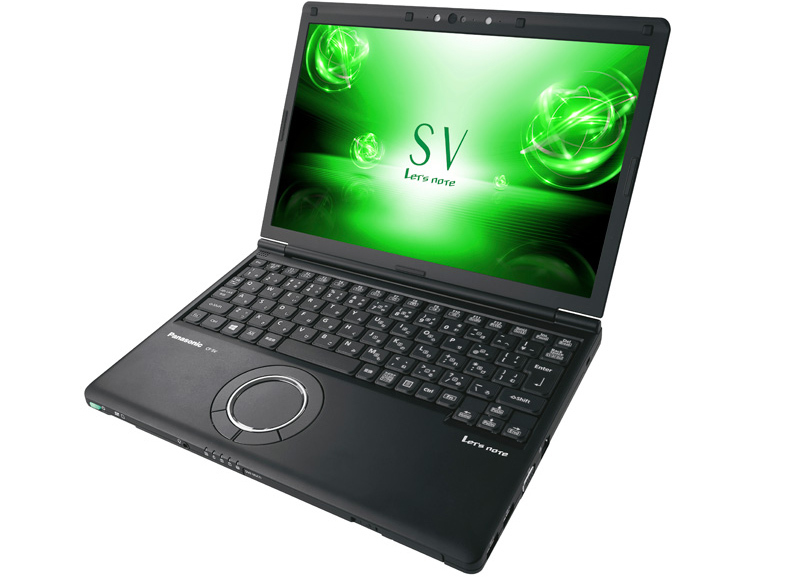 As mentioned above, Panasonic’s Let’s Note CF-SV7 laptops will come in different configurations. A basic one featuring Intel’s Core i5-8350U, 8 GB of RAM, a 256 GB SSD, a DVD drive and an “S” battery pack costs ¥253,584 w/taxes (~$2320) when bought online. A premium one equipped with Intel’s Core i7-8650U, 16 GB of RAM, a 1 TB SSD, a Blu-ray drive, an LTE modem and an “S” battery is priced at ¥425,304 w/taxes (~$3880) when bought directly from Panasonic. The Let’s Note CF-SV7 PCs are definitely priced well above average, but the systems offer unique features that tend to cost a lot. "User preferences are different in Japan, which is why Panasonic still offers 12”-class laptops with optical drives, thick replaceable batteries and plenty of connectors." These are very reliable & truly productive tools. I'm not a wimp :) so I can carry 1 Kilo of extreme high-quality/productivity/performance laptop. The ODD is sooooo useful for quick reliable backups when information is sensitive and you don't want to keep it online or on the laptop (that can be hacked and info gets accessed before you realize) and you don't want to keep all in one place like a portable HDD which is easily stolen, copied, broken. Often the "thin" laptop and the external ODD are heavier than this integrated solution so why not the f*ck integrate them ?! Also the ODD can be made swap-able with an extra battery or a HDD/SSD bay. It makes no sense to not integrate ODDs in laptops unless you're shooting for extreme lightness and thinness, but unfortunately now MOST laptops come without, while the price is higher despite lesser hardware. Anyway , I love these. Laptops are tools . not fashion statements and making them fashionable should not affect our productivity and the reliability of the product. They can have their laptop when they pry it from my cold, dead hands! Well originally, and I don't know if this is still true, they had a "feature" where you can run your finger around the touchpad in a circular motion to scroll up or down. Kind of like "infinite scrolling" if you want it because you can just keep swirling around. To be honest it wasn't all that useful in my opinion, and not really any significant improvement over just sliding your finger up or down on a rectangular trackpad and then lifting and repositioning it to continue the scroll if you want to. I owned a couple of the "Let's Note" series in the mid to late 2000's. Specifically the T2 (for my wife) and Y2 (for me). The Y2 was awesome in its time - 3.3 lbs weight, 14.1 inch display, magnesium case, very sturdy for something so light. My wife liked hers so much that to this day, 14 years later, she *still* refuses to use anything other than a Let's Note, which means that she's still using chunky mid 2000's designs with somewhat updated components like this new SV7. Believe it or not, the most significant feature for her is the plastic strap that they put on the bottom that allows you to hold it with one and and use it with the other. No other laptop has that feature (I think the newest Let's Note don't even have it), and for some reason it's just something she has to have. I agree though, Panasonic designs are at least 10 years out of date at this point. And they are so incredibly overpriced for the components that you get. The glory days of my Y2 are long gone by this point. Oh I forgot to mention, the Y2 was fanless. Huge selling point for me, who has dealt with broken and aged fans in my laptops far too often.